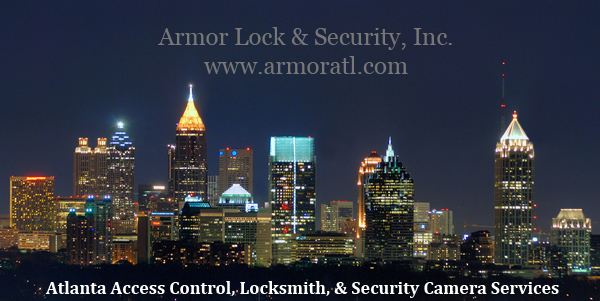 Armor Lock & Security, Inc. has provided locksmith services to the homes and businesses of Atlanta since 1965. In this time frame we have provided locksmith services to thousands of customers and have been a part of the changes this city has experienced. 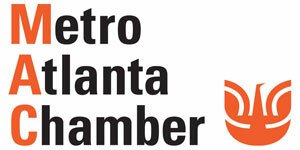 We are proud to have such a long locksmith tradition and history in Atlanta, Georgia. The locksmith profession has evolved through the years. What started out as a profession that only dealt with only locks and keys has turned into a profession that encompasses all aspects of security. Since the locksmith industry has evolved to include so much you have seen a trend over the past 15 years of locksmiths moving to specialize in certain aspects of the industry. Some specialize in automobiles, some specialize in residential, and some specialize in commercial locksmithing. We have also seen the traditional locksmith services expand as well. Whereas companies once only worked with locks you will now see locksmiths doing alarm work, access control and security cameras. This is a natural evolution of the locksmith that has occured to include services very similar to what they have always done. At Armor Lock & Security, Inc. we have moved our specialty to commercial locksmith work, access control, and security cameras. Commercial locksmith work includes keys, master key systems, lock repair, and also door hardware repair and door hardware installation. How do I pick a Locksmith service company? Below are a few tips on selecting a commercial locksmith, note these are just guidelines to make your selection process a little easier. While this list is geared toward commercial customers it is also relevant to residential clients. 1. Insurance - Ask for your locksmith's insurance. We are shocked at how few customers ever ask to see our insurance. Please ask, any legitimate business will have absolutely no problem with this request and quite honestly we expect it. 2. Local Business - Pick a local locksmith! Sure, there are companies that say they are national but all they really do is subcontract the work to actual local locksmith businesses. I would advise just going to see the local locksmith and establishing your own relationship with them. You will get better service and better pricing by doing so. 3. Physical Location - This goes along with #2 but I've made it a separate category because we feel it is important. Honestly, there are just a lot of fly by night locksmith businesses and it can be a shady industry. Pick a company with an established location and go visit them if you can. 4. Size - Pick a company that has the size to service your properties. We are astounded to hear people call in and say their vendors are taking several days to visit them. If you have to wait more than 24 hours for a routine service visit then you are using the wrong vendor. Armor services over 95% of our service calls the very same day. 5. References - If you have a big project or if you're trying to establish a relationship with a locksmith company then by all means ask for references. If you have a specific concern then ask the locksmith to provide you with a reference in your category (government, healthcare, banking, etc.). Bottom line is we are in the service industry and we are out to win your business so we don't mind and we even expect you to do your due diligence in selecting us as your locksmith vendor. What are some common locksmith services Armor provides on a daily basis? Aluminum Storefront & Metal Back Doors Repaired, Door Closers Serviced & Insalled, Hinges, Pivots, Panic Bars, Exit Hardware & Exit Alarms Installed. Armor can duplicated most non-patent restricted keys. You can always send us a picture to confirm before stopping by our location. In addition to commercial office keys armor can also duplicate and originate most filing cabinet keys by code. Armor can rekey most non-patent restricted keyways. We specialize in commercial building rekeys, including the more difficult removable core systems. Contact us for any questions regarding your specific system or keyway. Commercial locks are expensive, Armor will always try to repair your existing hardware if it is an option. We work on most cylindrical and mortise style locksets and can repair a lot of issues that other locksmiths would not. Contact us for any questions your have regarding lock repair. Armor has 50 years experience in creating commercial masterkey systems. From initial system design to implementation we will make sure the system is exactly what the customer has asked for and needs. We can help guide our customers in selecting the right options and give real life examples and suggestions as to what we think would be the correct system for each application. Don't see your City or County listed above? Contact us and we would be happy to discuss our service area and pricing with you.